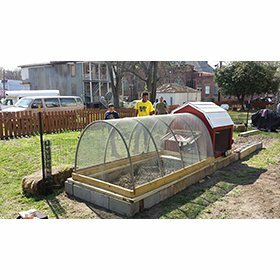 Don't feel like spending big bucks on a coop? 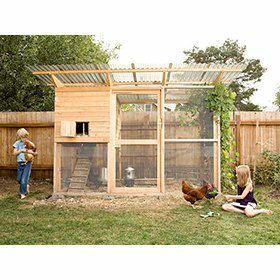 Build this coop for under $200! These building plans come complete with 15 pages of professional, quality instructions that include meticulous descriptions of each step as well as dimensions, measurements, and cuts. The materials list is designed to be a one-stop shopping list complete with SKU numbers and current prices for common vendors! 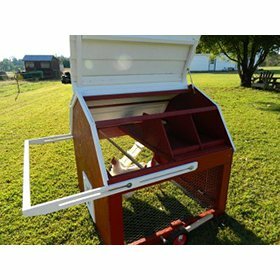 The MiniBarn's nest box and roof panels are easily removable for cleaning and inspection. One of the many reasons we like these plans is the coop's mobility! The retractable wheels and pull system have two height settings for various terrain. 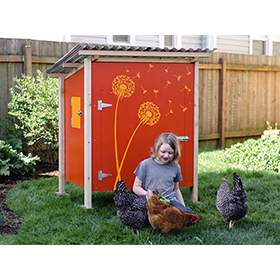 This coop is also open on the bottom so your flock can have constant access to bugs and grass. 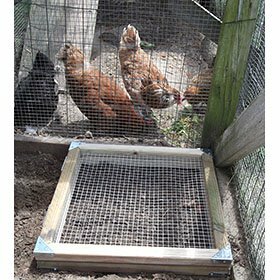 We do suggest, however, that you secure 1/2" hardware cloth to prevent predators from digging underneath. 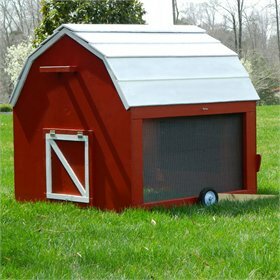 Main portion of coop is 4' x 4'. The nest box is external and measures 13" deep. 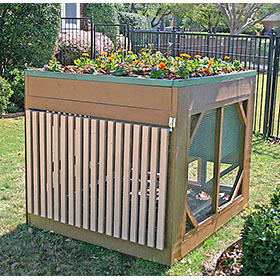 As low as $180 depending on your location and materials used.